Of course, all marketing is demanding and challenging, and it’s getting more technical all the time. That’s true regardless of your product or your target audience. But in B2B marketing, you’re not just trying to persuade a single person or family to buy a product. You’re trying to influence entire businesses. You have to convince dozens of stakeholders, each with a different set of needs and desires, to buy in. Plus, you have to nurture these relationships across a long buying cycle, maintaining visibility without being obnoxious. It’s tricky stuff. Fortunately, whether you’re B2B or B2C, your martech stack can make every part of the process simpler, more automated, and more efficient. 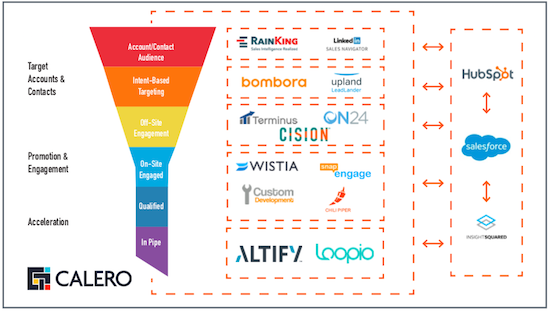 Here’s how to make sure your martech stack is optimized for the specific challenges of B2B marketing. There may be a few marketers out there who designed their martech stack from the ground up. These exemplary folks implemented everything at the same time to form a single cohesive whole. You rarely encounter them in the wild, but theoretically they exist. For most marketers, the martech stack is an ever-changing, organic entity, with new tools grafted on when needed. So the first step in optimizing your stack is to take stock of what you already have. Map out each tool you’re using, and what function each performs. It’s a good idea to make a map of it. It’s much like making a customer journey map, but for your internal processes. 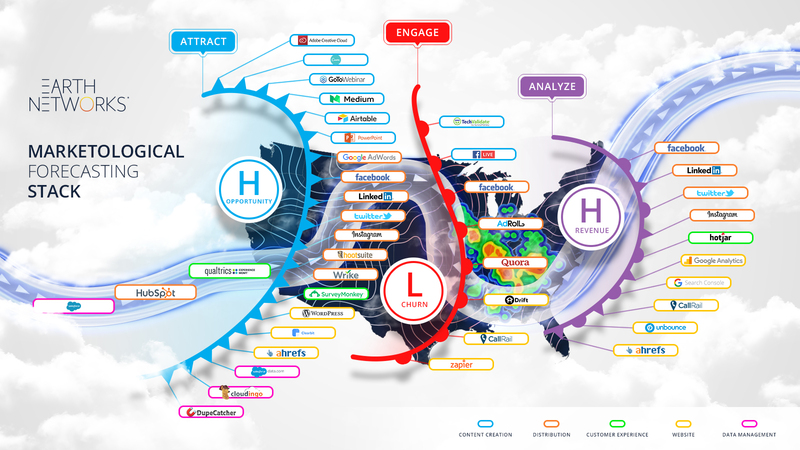 For example, in the following diagram (Figure 1), Calero maps its martech tools to the marketing funnel. In contrast, Earth Networks “weather map” (Figure 2) groups tools by function. As you take inventory and create your map, make sure to include the sales department as well. Martech tools can cross the line between sales and marketing; any tool that helps generate revenue should be on the map. Now you know what each element of your martech stack is actually doing. The next step is to evaluate that performance against your key priorities, to see what’s working and what needs an upgrade. For example, is your email automation tool robust enough for sophisticated, personalized nurturing to help shorten sales cycles? Is your social media listening system tool giving enough insight into B2B-specific channels? Is your CRM helping map the buying committee and maintain contact? Identify which tools are pulling their weight and which could use a level up. You may even discover some tools that aren’t contributing to your priorities at all—this is a good opportunity to prune the dead weight. Your customer resource management solution is essential for tracking relationships across sales and marketing. If you’re using an outdated or feature-poor tool here, odds are you’re missing opportunities. Consider a robust tool like Salesforce, HubSpot CRM, SAP CRM, or similar. Modern consumers expect personalized marketing, and B2B buyers are no different. Newer marketing automation tools use AI and machine learning to make it easier to personalize on a grand scale. HubSpot has a strong offering here, too. Other options include Marketo and Pardot. The best-in-class of content marketing management solutions combine workflow management, editorial calendars, and more to make content publishing seamless. Look for a tool like Kapost, DivvyHQ, or Contently. Data is the lifeblood of marketing in the 21st century, so a customer data platform (CDP) should be the foundation of your martech stack. It brings together data from sources across the business, from marketing to customer service to web analytics to sales, and beyond. 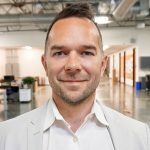 And for every customer and every business, it constructs unified customer profiles that give you insights into which business might be ready to buy, where each person and job title is in their customer journey, and constantly updates each profile so you can tell what’s working and what isn’t. The right customer data platform can give you a 360-degree view of current and potential customers and decision-makers, generating priceless insights to optimize your marketing, whether you’re dealing with thousands of B2B customers, or millions of B2C customers. So, for example, you can see what your customers do right before they buy. This can be really powerful information. Did the CEO read a particular report or white paper, or maybe an ad? Did the CFO read it shortly afterward? Or maybe the CFO checked out your investor relations page to see your financials the next day? Did they get particularly effective emails, mobile app messages, or targeted advertising? Did they check out a webinar? Who has looked at what, in what order? Once you have each element of your stack leveled up and in place, the next step is to start connecting and sharing data between tools. This is what turns a collection of tools into a true marketing stack: Each tool does what it’s best at, but works with the other tools. The result? Something greater than the sum of all the martech parts. And an integrated, connected martech stack is the opposite of the old, piecemeal Frankenstack. You’ll be able to see what’s working, what’s not, and fine-tune your martech stack appropriately. Your CDP (Figure 3) can then use that information to send offers, emails, and other targeted, personalized messages to everyone you need to persuade, at the right time, with the right offer. 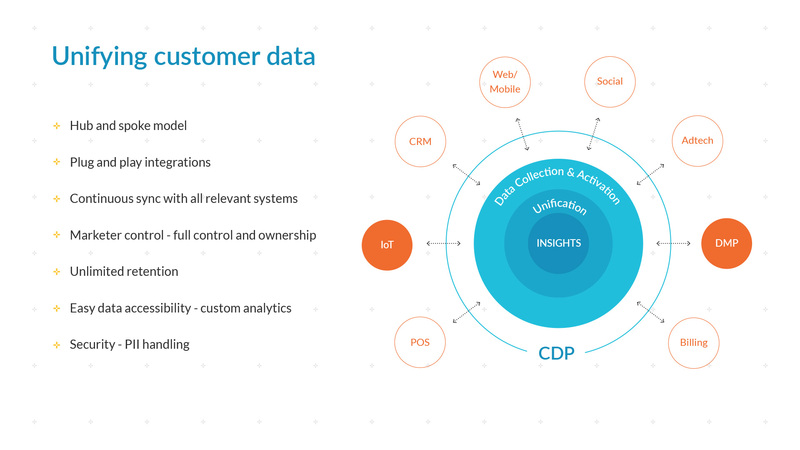 Figure 3: A customer data platform (CDP) is central to a martech stack because it connects and shares data between your other technologies and touchpoints. With the right tools working toward the right goals, all united with the right customer data platform, you’ll have a stack that’s fully optimized for the unique challenges of B2B marketing. But a word to the wise: You might have to give up the my-job-is-harder-than-B2C title. And wouldn’t that be just terrible? We’re in B2B marketing, and we think we could learn to live with that.